Comfortable, beautiful, reliable. You will enjoy GROHECosta for years to come. Ergonomically designed metalhandles are not only pleasing to the touch; their long-lifeparts also provide consistently precise operation. The useof top materials and sophisticated technology allows Costato bear the “longevity” quality stamp. GROHE StarLight®technology guarantees a brilliant chrome finish. 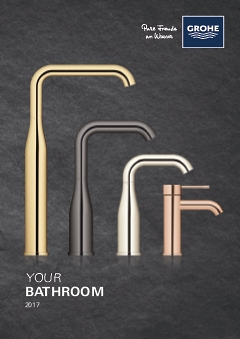 Last but notleast, Costa facilitates your personalised bathroom designthanks to its wide range of models.